Social networks are as old as human society, but our hunter-gatherer ancestors didn’t need social networking platforms or the now well-developed science of social network analysis. Each was a member of a small, closely-knit tribe, and was directly acquainted with every other member of the tribe, while remaining unacquainted with anyone outside of it. If those Paleolithic tribesmen had Cavebook, each would have an essentially identical group of friends. Society is far more complex today, which is why social network analysis has become such an important concept in modern knowledge management. Any individual in a social network is a node. Think of a complex web of lines connecting points on a geometric plane. Each point, out of which a number of lines are emanating, represents one individual within that social network. In contrast to the isolated networks of yesteryear (or yesterepoch), some of these nodes will have many more connections than others. Some people, social butterflies and active networkers, will have many lines connecting them to many other individuals within the network. Others, the hermits and wallflowers among us, will have far fewer. Some social groupings today share similar characteristics with those aforementioned ancient tribes. A typical high school student in a small town might have a lot of friends, but it’s likely that most of her friends have the same friends she has. Social network analysis can quantify the cliquishness within a social group. In contrast to the students at Smallville High, a group of middle-aged professionals would likely have members with many connections to people who share few other connections with them. Consider an American city as a large social group, and opera fans and members of the local bowling league as two subgroups. Many of the opera fans know one another. Most of the bowlers know one another. Only a few of the bowlers are also opera fans. These individuals are bridges, connecting the one subgroup to the other. Suppose one of the opera fans knows lots of other opera fans, but isn’t directly connected to many bridges within that subgroup. Another opera buff has fewer direct connections, but the ones she does have include several bridges. While the former has more direct connections, the latter would have more secondary connections. In social network parlance, the first has a higher degree centrality, while the latter has higher betweenness centrality. If you want to use social networking to your advantage, it’s good to have a lot friends. The more the better. But it is perhaps even more advantageous to be friends with a wide diversity of people who are themselves diverse in their own friend selection. Social network analysis studies the characteristics that tend to be associated with connections between individuals. It examines such factors as geographic or occupational propinquity, the tendency for individuals to form attachments to others who physically reside close to that individual, or who have a similar professional background. One key result of such analysis with direct ramifications for knowledge managers and those seeking to use social networking to their advantage in business and academia is that some of the same technology we use for analyzing social networks is itself changing the way we are connected. Before the widespread use of social networking platforms, the degree of occupational and geographic propinquity within most people’s social network was comparatively high. Only a rare individual would have an extensive group of friends or associates who lived thousands of miles away. Most people tended to have a lot of friends and associates with similar professional backgrounds, because the workplace was one of the primary avenues whereby people met one another. All that is changing, and changing quickly. Facebook users routinely maintain active relationships with people who live in other countries, whom they may never meet in person. People have many more opportunities to meet a diverse group of friends and associates than ever before. Professional networking using LinkedIn has allowed people to identify the bridges within their own social networks and use those bridges to connect with others whose indirect connections would have otherwise remained a mystery. 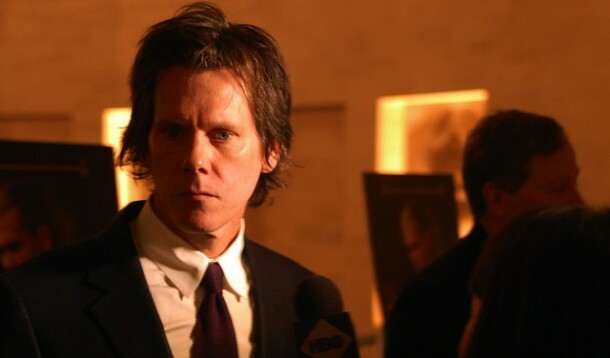 Heck, you’re probably connected to Kevin Bacon, and, according to social networking analysis, in fewer than six degrees. Andrew Breslin is the author of two novels, Mother’s Milk, published in 2005 by ENC Press, and Practical Applications of Game Theory, currently being published in serial form at Imaginaire, the Journal of Mathematical Fiction. He blogs and reviews books at Goodreads. Some of his short fiction can be found on his website. When he isn’t writing he enjoys playing the banjo, chess, idolizing his cat, and thinking about math.